I was wondering what is the maximum speed now registered in the world for a cable car. So far I know, reversible cable cars (43 kph, Portland, USA) go faster than the well known loop cable cars (27 kph, Val d’Isère, France), which is not clear to me why. If you could also explain this issue, that would be great. Thank you in advance. By the way, what can we expect in the near future for maximum speeds? These are great questions Roberto. To start, it’s important to remember that Cable Propelled Transit (CPT) can be broken down into top-supported and bottom-supported systems. For bottom-supported systems, the fastest cable technology are funiculars which can travel at maximum speeds of 14 m/s (50km/h). For top-supported systems such as the Aerial Tram and Gondola, maximum speeds are 12.5m/s (45km/h) and 8.5m/s (30km/h) respectively. Maximum gondola speeds as high as 9 m/s are rumoured but not confirmed. Why detachable gondolas (“loop cable cars”) travel at lower maximum speeds is partially related to issues of design and economics. For a detachable gondola to reach higher speeds, it would require enormous stations to accelerate and decelerate cabins. For most gondola systems — which travel in relatively short distances — the increase in speeds would only result in marginal time savings but result in much greater station costs, energy demands, system wear and tear, and etc etc. Aerial trams in comparison, are fixed-grip systems. They simply come to a full stop in a station which enables them to travel at higher maximum speeds. Also, aerial trams typically use larger cabins which are able to provide greater comfort and stability during high speed operations. As for the future, high speed cable test facilities have reportedly designed ropeways operating at speeds of 18m/s (65km/h). While this is exciting, it’s important to note that before maximum speeds change, it must meet a series of stringent technical and legal requirements to ensure maximum passenger safety. Got a technical question about ropeways you want answered? Send your questions to gondola (at) creativeurbanprojects (dot) com in the subject heading and we’ll try to answer it. I just came across an old article on Mother Nature Network that combines my favorite sequence (yes, I have a favorite) with a common conversion issue. 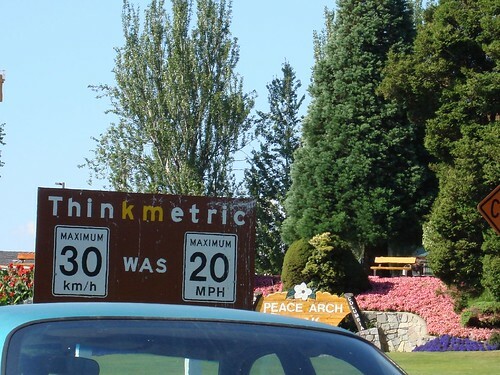 As an American I think in miles but as someone who reads about, works with, and travels on roads in, well, any other country, I often/sometimes/usually come across speeds and distances measured in kilometers. Like Fahrenheit and Celsius, I know a few basic conversions, and can usually just guesstimate between those. But here is a fun trick for figuring out the rest of those dang speed conversions. This sequence is very close to, but not exactly, the golden ratio — which is the growth factor for the famous golden spiral — as commonly seen in nature and design. This sequence happens to also be very close to the relationship between kilometers and miles. It roughly works out that if one of those Fibonacci numbers is in kilometers, the preceding number is that distance (or speed if divided by time) in miles. So a speed of 89 km/h is, generally speaking, 55 mph. Similarly 55 km/h is about 34 mph. A number not in the sequence can be broken down into sequence numbers and each of their conversions added up. The example in the article showed that to find 100 km, you can use 89, 8, and 3 since together those equal 100. Their mile equivalents are 55, 5, and 2, which add up to 62. As Google says the actual conversion is 100 km = 62.1371192 miles, I’d say this is pretty damn close. 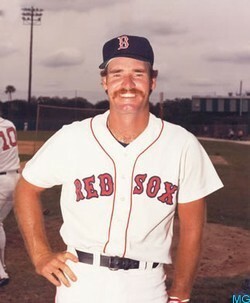 Can Transit Learn From Wade Boggs? Professional sports and public transit are two very different things, I admit that. But contemplate, for a second, the amount of statistical scrutiny we give to the athletic diversions in our lives and how much we attention we pay to the statistics of public transportation. Now contemplate the robustness of the statistics gathered (and are available) for professional sports – how do they measure up against public transportation statistics? How is it we have more information about this man than we do about most of our public transit systems? Some people may find this observation entirely glib, but it’s not. I’m being serious here. How is it that we can simply and easily access numbers for arcane matters like how many times Wade Boggs was intentionally walked in the 1986 Major League Baseball post season (the answer is once, by the way), but newspapers have to file government appeals in order to ascertain how many suicides occur every year on the Toronto Transit Commission? The current annual operating budget of New York’s Metropolitan Transportation Authority is roughly $13 billion US. The combined annual payroll of all 30 Major League Baseball teams, meanwhile, is a little bit less than $3 billion. Does it really make sense that the general public has a greater number of and greater access to rigorous statistical tools of measurement for baseball than public transit despite a) the public transit industry being infinitely larger than the professional baseball industry and; b) public transit having an infinitely greater impact on our lives than baseball could ever hope to? I’m sure there are dozens of good reasons this disparity exists. The first that pops to mind is the fact that baseball statistics have been gathered for decades by a dedicated and interested fan base who see this activity as pleasurable and interesting – it’s a hobby aligned with their interest in a game. Public transit likely doesn’t have the necessary fandom to instigate such a casual interest in statistical arcana. Nevertheless, I can’t help but feel that if a swarm of baseball fans can gather all this information and disseminate it – including during times before the internet – without the help of Major League Baseball, then the same thing can (and should) be done with transit statistics. Isn’t this something that needs to be remedied? The Toronto Star reports today that the Toronto Transit Commission (TTC) and a waterfront development agency are at loggerheads over a planned new streetcar corridor. The Toronto Transit Commission wants to experiment with track design on a new streetcar route to speed up Toronto’s failingly low streetcar speeds (between 10 and 12 km/hr, on average). Their solution is to place both track directions on the North side of Queens Quay (a major waterfront boulevard), and place both directions of vehicular traffic on the south side. (Note: Traditionally, streetcars are placed in the center of a roadway with – say – eastbound streetcars moving on the same side of the street as eastbound traffic and westbound streetcars moving on the same side of the street as westbound traffic). Neither the TTC nor the article offered an explanation as to how, why, or if this plan would increase average streetcar speeds. Nevertheless, TTC officials quoted in the article claim that according to their plan streetcars would experience average speeds of 13 – 15 km/hr, a significant speed premium. Waterfront Toronto (the development agency), however, envisions a 3 km long stretch of Queen’s Quay with up to 20 separate traffic lights to contend with the myriad of developments they have in the area. Of course this 3 km long stretch of roadway is the same as that which is to be used for the TTC’s new streetcar line. For those who are counting, Waterfront Toronto’s plan would result in 1 traffic light every 150 meters. TTC officials state that so many traffic lights would result in a streetcar line “even slower” than other Toronto streetcars (those within the 10 – 12 km/hr range). Waterfront Toronto officials, however, contend that their plan for having extended greens and transit signal priority (TSP) schemes along the stretch would result in average speeds of 16.6 – 19.5 km/hr. As I’ve argued before, transit signal priority schemes have a very dubious track record and there is little consensus about whether the technologies actually work (at least in a North American sense). At best, TSP seems to reduce travel times (and increase travel speeds) by around 6 – 10%. At worst, it actually increases travel times and reduces speed. Waterfront Toronto, however, is convinced that their TSP plan would result in an increase in travel times of roughly 65%. This speed increase, meanwhile, would be realized in a corridor with 43% more traffic lights than some of the most congested sections in all of downtown Toronto. Something doesn’t make sense here. Both Waterfront Toronto and the TTC cannot be right. Both could however be wrong. That they differ in their opinions so widely suggests someone’s (or both’s) forecasting models are severely flawed. At the end of the day, what this quibble shows is this: Road based transit speed has almost nothing to do with technology choice. Speed and travel times is dependent almost entirely on how the technology is implemented in relation to its surrounding environs. Transit enthusiasts, advocates, planners and researchers need to get out of the habit of saying their technology preference is the fastest. After all, as the above demonstrates, your technology preference could be the fastest but it could also be the slowest. During peak loads/rush hours gondolas have a seat to standee ratio of around 3:1 or 4:1. That is, at crush loads there will be three or four people sitting for every one person whose standing. And Light Rail, buses or subways? Around 1:1 or 2:1. In an age where transit agencies are finally talking about level and quality of service (rather than just operational concerns), shouldn’t this factor into the equation? Please . . . take a seat.